Please use the full logo unless there is insufficient room for the full logo or the icon is more appropriate (t-shirts, promo items, busy backgrounds, small spaces, etc.). 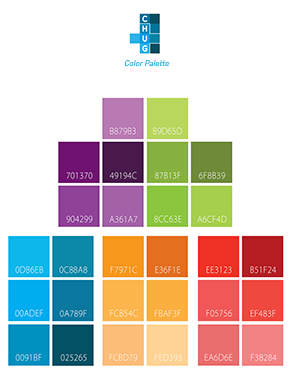 Download the official logo color palette. Always use the white logo with transparent background for placing over photos with patterned or multi-colored backgrounds. Do not add your own text to the logo icon. Use the full logo if you need to spell out the full name. 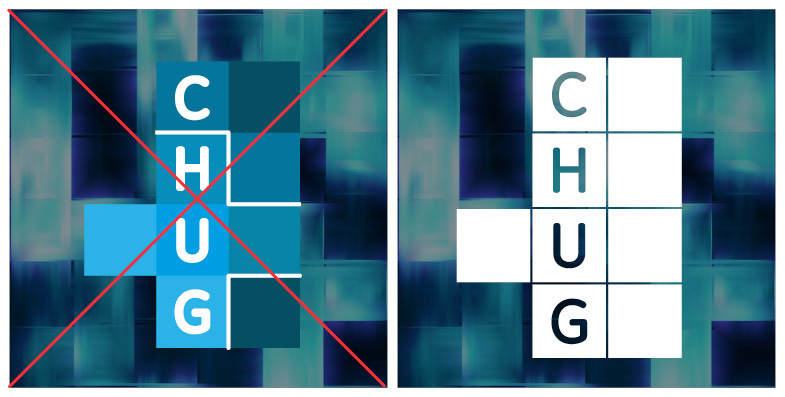 Do not add drop shadows, reflections, or any special effects to the logo or change the color in any aspect. In CHUG related promotions or communications, please use colors from the included color guide, and either the GE Inspira font or Myriad Pro font.